Of all the many things I dislike in this world, sitting in the waiting room at a doctor’s surgery is right up there near the top of the list. It was my misfortune to find myself in just such a hell-hole yesterday through no fault of my own. My new employer required me to have a medical check up to give them some peace of mind that I would not keel over in the workplace, so the beautiful sunny morning was spent in close confinement with a number of sick people. I entered the cramped room perfectly healthy but left after a couple of hours with my immune system battling every sort of air-borne infection. At least I had time to ponder where I could cast a line over the weekend and I settled on another trip to the River Robe this coming Sunday. Between the frequent coughs and sneezes of my fellow sufferers I day dreamed about which stretch to fish and what patterns to try. It must have been the medical surroundings, but I decided that a wee fly called the Sanctuary could be the job on the Sabbath as it often works at this time of the year. 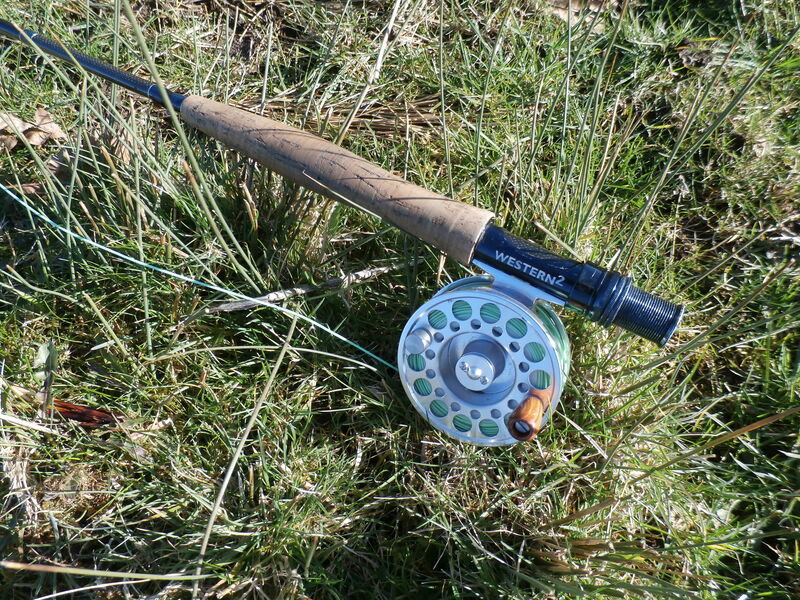 Not a fly that I see other anglers using but one which has done the business for me more than once. The Sanctuary is a simple fly to tie. It is not substantially different from a number of other patterns which you can use to imitate the large dark olive but I like catching trout on different patterns. I think I’m right in saying this pattern was devised by a certain Dr. Sanctuary (hence the medical connection). 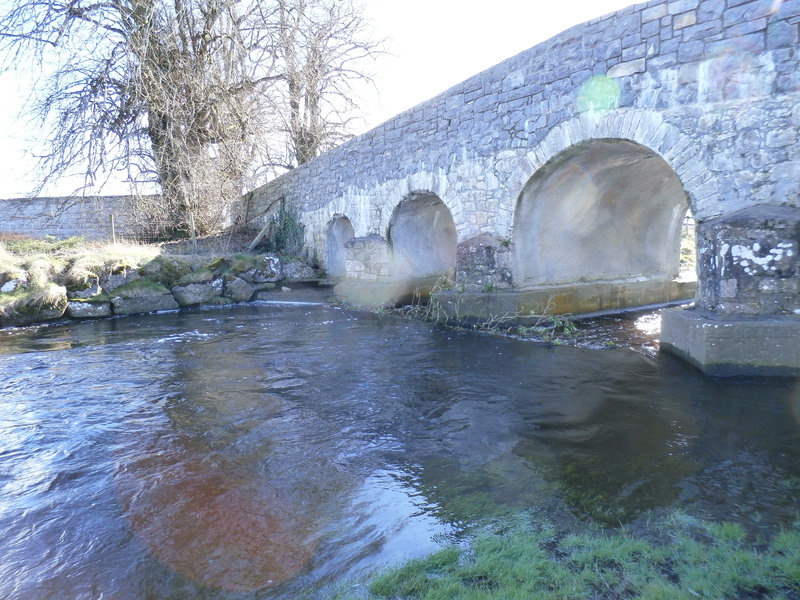 He fished the chalk streams of east Yorkshire in the late 19th century and was an avid fly tyer. 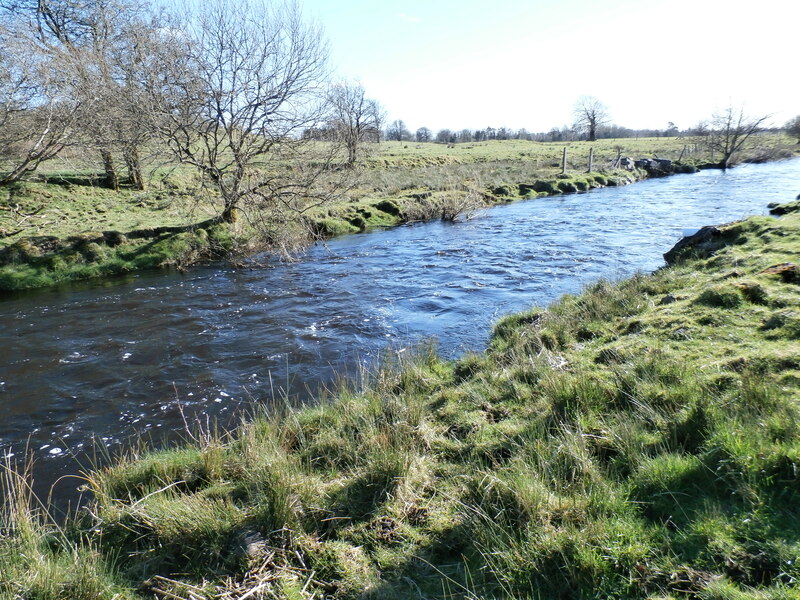 The Costa Beck in the east riding of Yorkshire – it looks very similar to the Robe! As usual, I have mucked around with the original pattern! The good doctor saw fit to omit tails from his fly but I like tail fibres on my dry flies so some were duly added. 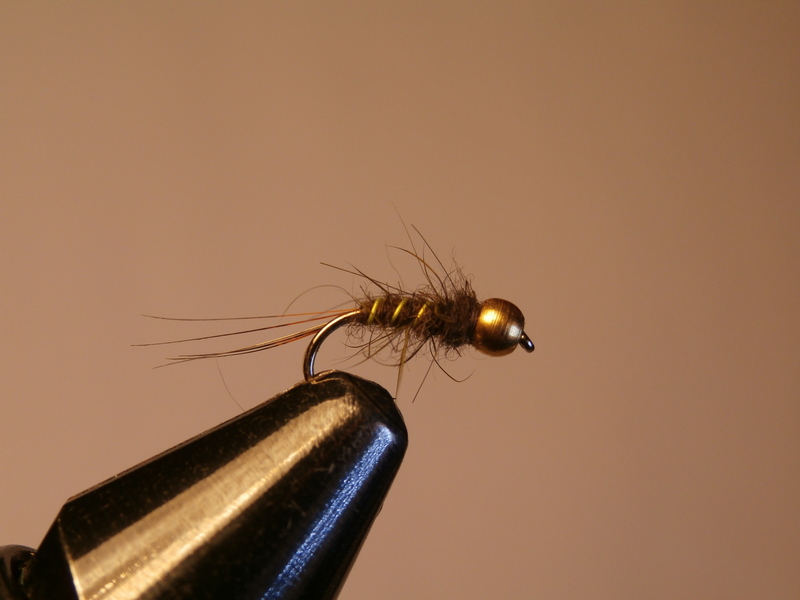 To my eyes the Coch-y-bondhu hackle was too dark on its own so I wind an olive hackle through it. The coughing and spluttering of my near neighbours seemed to be reaching a devilish crescendo and my mind wandered of down different paths in an effort to blot out the horror of being confined amid all this disease. It took me all the way back to the eighties and that brilliant track by the Cult – She sells sanctuary. This is dressed on a curved grub hook and I added some chopped up fl. lime floss and red fur to the HE to form the body. 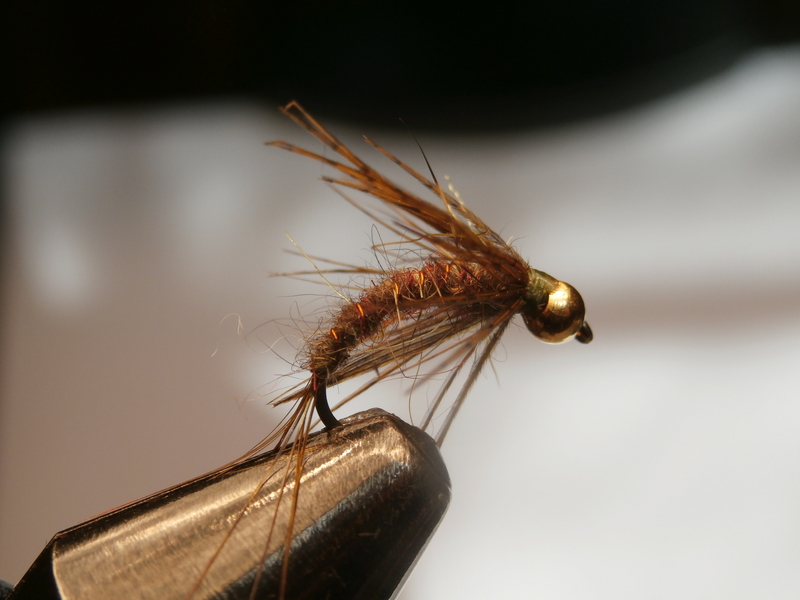 I also added a partridge hackle dyed brown olive for movement. A copper wire rib and a thorax cover of opal mirage add a bit of flash. I will give it a trial the next time I am out. The morning drifted past today with no chance of sneaking off to the river, but after lunch I grabbed the chance to fish for an hour on the River Robe. 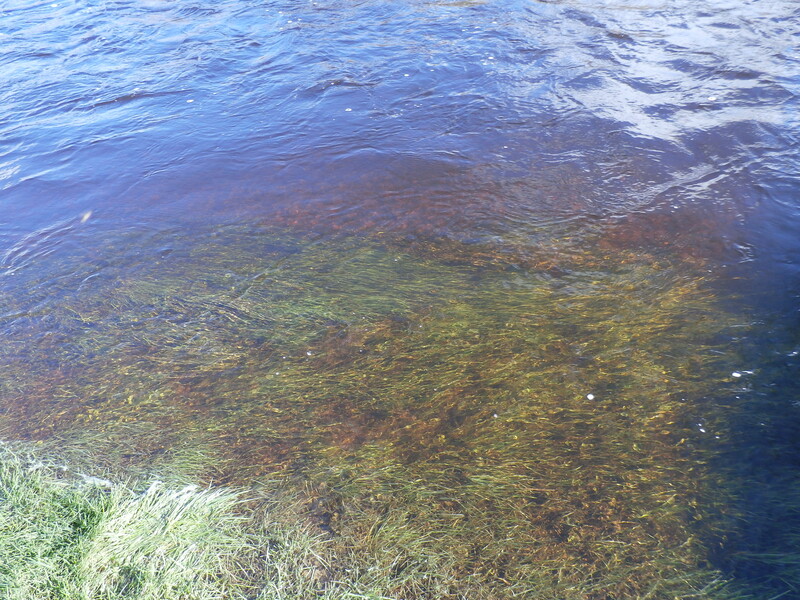 The weather was horribly bright but the river was running at a good level and colour after recent showers. It was after 3pm before I was on the water, too late for any serious thoughts of seeing a hatch of flies so this was always going to be a reconnaissance mission rather than a major fish catching session. 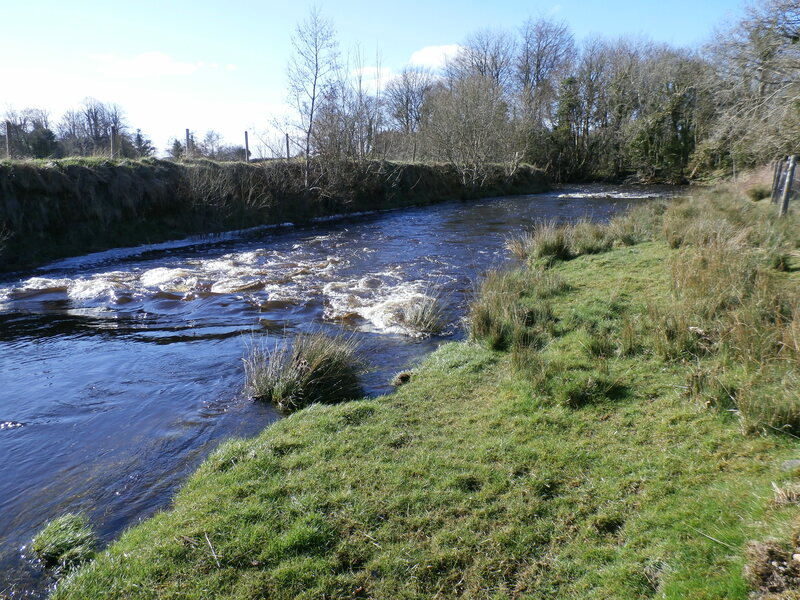 I set up with a Hear’s ear goldhead and fished upstream through a couple of pools without a touch. A sprinkling of small duns in the air suggested I had missed a hatch earlier in the day. Onwards and upwards though and I made my way upstream. A change to wet fly was called for so on went a Partridge and Orange on the dropper and a beaded Hares Ear on the tail. The flies fished nicely through the pool but again, there was no interest from the trout. It was very bright indeed so I was not too disappointed at the lack of success and was just enjoying being out on a day like this. 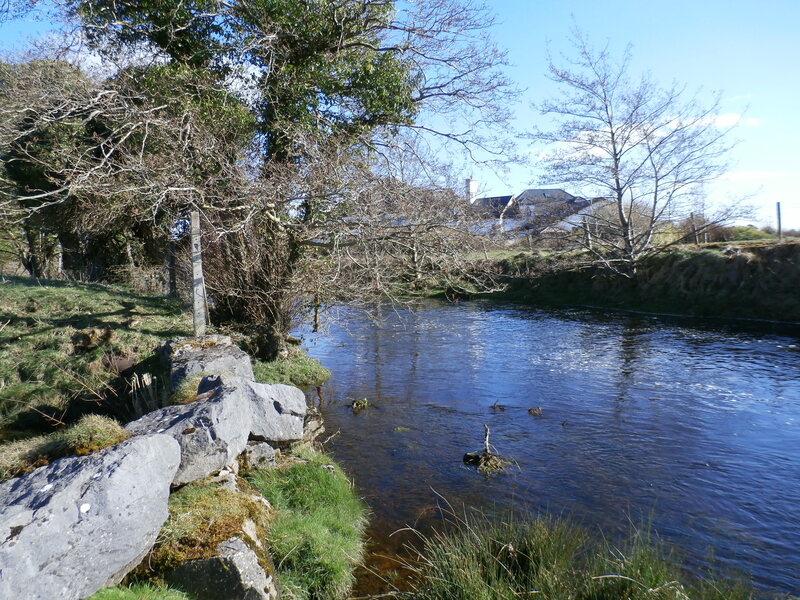 The next pool upriver is deep and slow with trees overhanging along one bank. It usually holds a few big fish but with no hatch and blazing sunshine I decided to give it a miss this time. A tramp over a couple of fields brought me to a lovely run which has always been good to me in the past. Casting around the clock to search through the little pockets of water between bushes and then working the flies down and across eventually resulted in a soft take. It was obviously a small fish but I took my time in getting him to hand as I didn’t want to lose the first fish of the season. 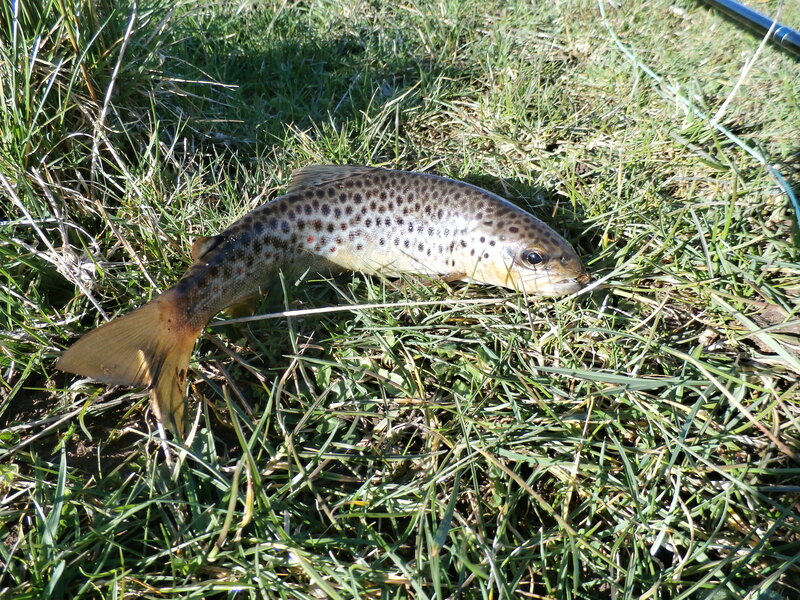 Sure enough it rolled on the surface and was lifted out for a quick photo before being released back to the stream. He had taken the hare’s ear and was nipped in the very front of the mouth. Only around 8 inches it was still a welcome start to the new season for me. I fished on down for a few more yards but there was no further action so I headed back to the car and the drive home. OK so it was hardly and action packed afternoon but it was good to be out in the fresh air again after a long winter.